Our Overwatch League 2019 guide contains the Season 2 schedule and team list, with start times for the PT, ET, GMT and CET timezones. The 2019 season of the Overwatch League is now well under way, and the first stage of the competition has just been wrapped up with an exciting Playoff showdown that saw continued dominance by the Vancouver Titans. To help you stay on top of the rest of the tournament, we've put together a comprehensive guide that we think should contain everything you need to know about Overwatch League in 2019. We've got a breakdown of all the teams - old and new - who'll be taking part in the competition, as well as a schedule of upcoming matches. We'll also be adding in results of every match and maintaining an up to date breakdown of the live standings. We're also going to be exploring some of the highlights of the biggest matches in breakout articles, so keep an eye on the homepage for more insight into the League. We'll also be digging out catch-up video where it becomes available from official Overwatch League sources. We'll drop links to those pages throughout the guide, so that you can get up to speed on any of the key matches that you might have missed. Week 1 of Stage 2 has just come to a close and we've updated this article with the latest results and standings. All matches will be streamed on the Overwatch League's official Twitch channel. Here's an embed so you can get stuck in right away. We now have a complete match-up schedule for Stage 2 of the Overwatch League 2019. You'll always find the current week highlighted further up the page though, so you can be ready to grab the latest matches. That's all of the matches for the first stage of the year, then, but here are the start dates for the other two stages that will form part of the 2019 season. We'll add in the fixture schedule later, and on a stage by stage basis. Check out the official Overwatch League site if you want to dig deeper before then. New teams: Eight new teams have been added to the roster since the League's inaugural season. See a little further up the page for the full breakdown of teams. Franchise Fees: Although the initial franchise fee in Year 1 was $20 million, this was raised to between $35 and $60 million according to reports. 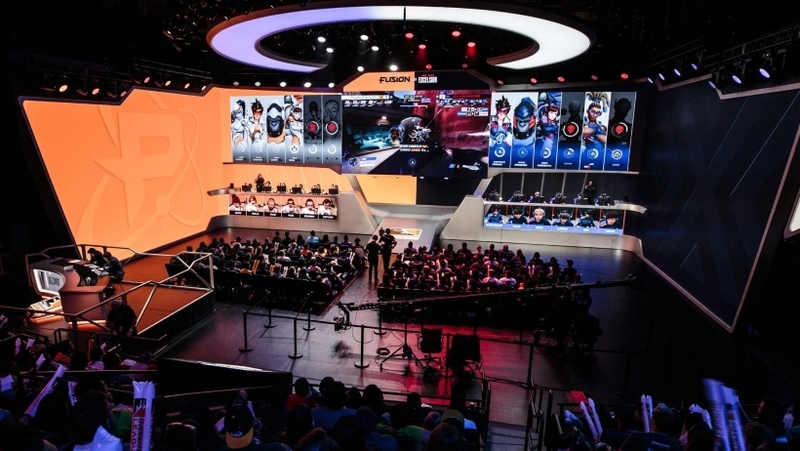 Key Dates: Separated into multiple stages, the Overwatch League 2019 will run from February 14th 2019 to August 25th 2019. Matches: In total, all of the teams participating in OWL 2019 will play a minimum of 28 matches. More matches will be played based on qualification from the first stages of play. Prize Money: The total prize pool for Overwatch League in 2019 stands at $5 million. Locations: The vast majority of matches will be held at Blizzard's bespoke Esports Arena in Los Angeles. There will, however, be localised matches taking place during so-called Homestand Weekends. Dallas, Atlanta and Los Angeles have been named as venues so far. Sponsors: Coca Cola has been named as a sponsor not just for the Overwatch League itself, but also the World Cup, Open and Contenders competitions.